Md. 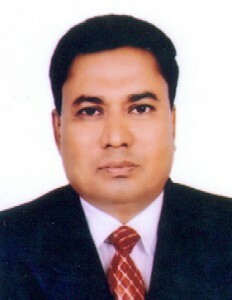 Abdus Satter Sarkar FCMA, FCA | Mahfel Huq & Co.
Md. Abdus Satter Sarkar, FCMA, FCA joined the firm in 2015 as a partner. Before joining the firm he acted as the Head of Finance of BRAC, the largest NGO in the world for a number of years. Before BRAC he worked in the finance and accounts as a senior manager in a Grameen Fund- a sister concern of Grameen Bank- the Nobel prize winning organization. Currently he is an Executive Committee Member and Treasurer and Chairman of the Audit and Finance Committee of Action Aid-Bangladesh. Additionally, he is a member of DBC of Institute of Cost and Management Accountant of Bangladesh (ICMAB) and a member of Institute of Chartered Accountants of Bangladesh (ICAB). His specializations include audit, management consulting, corporate and legal affairs and valuation.